"I have to say I loved the experience! I feel a clarity this week that I was lacking most of the winter. I noticed some awesome changes to my digestion, my eyes are brighter, and my complexion seems smoother. It was also a great test for the ego - having to consciously deny myself something I am so accustomed to doing (eating) was an interesting experiment in will-power and self control. So cool! I will absolutely be doing this again in the spring!!!" Kristen was kind enough to share her fantastic recipes and give you a glimpse into what she ate and drank each day. Kristen uses a Breville juicer and likes to mix her juice with equal parts filtered water. It is a taste preference thing and a way to stay extra hydrated. 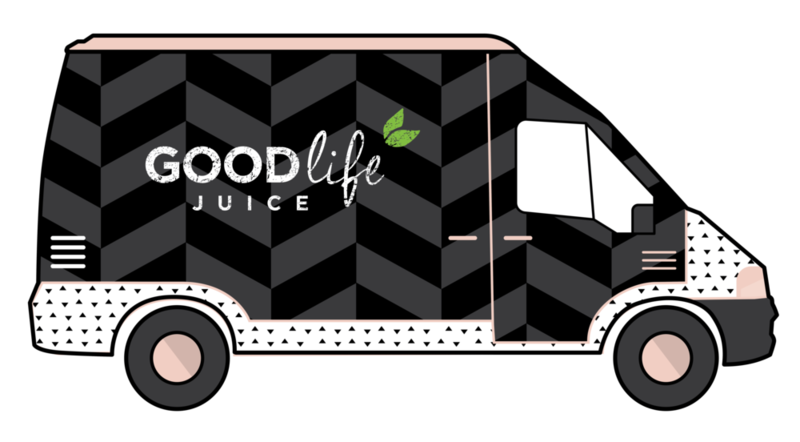 (FYI Good Life does not add any water to our fruit + veg juices). Roast on a sheet pan for 45 mins. Bring to a slow boil and simmer for 10 - 15 mins. Let cool and then blend until creamy. Add more liquid if desired. Serve with a handful of chopped cilantro and a sprinkle of green onions. Finish with a squeeze of fresh lime juice. This sample day of juice + food is very light. Keep in mind Kristen is a petite gal who already eats a very clean, plant based diet. The goal with these types of re-boots is not to feel restricted or hungry, but rather to feed your body incredibly nourishing foods and juices. Although this type of cleanse is far less calories than Kristen typically consumes, she is feasting on nutrients from all of the fresh juice and her body was thriving. This is a sustainable way of eating for an extended period of time, but a 3 day cleanse. If you are hungry, just drink another juice or add in snacks or mini meals to meet your needs. An avocado on a rice cake is a great compliment to a juice, and handfuls of nuts throughout the day will help keep you feeling nourished. Try to make your snacks include healthy fats and keep it primarily raw and plant based if you can. Avoid anything processed or containing meat, dairy, refined carbohydrates and sugars while on a reboot. To start shopping for juices to include in your New Year's Reboot click here. For more meal planning and recipe ideas be sure to check out Kristen on Instagram @foodtosaveyoursoul . Kristen in an energetic young mama who resides in Victoria B.C. She is a talented meal planner and works with clients on an individual basis to meet their specific dietary needs and goals.